Make the speakers on my phone sound louder with 40% volume extra. Enhance sound of speaker and earphones with one touch. You can optionally increase system volume, notifications, ringtones, alarms or increase them All at the same time. Game : play game with the amazing sound system without any sound deformation. Meeting: select Vibration mode to reduce noise in meetings or public places. Sleep: turn all sounds to Silent mode and active only the Alarm sound. Message: boost the notification sound for incoming messages better. Choose the available equalizers: Flat, Bass, Treble, Rock, Grunge, Metal, Country, Jazz, Blues. Listen to music via music player with volume boost. 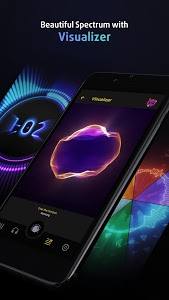 You will be listening to music and enjoy the unique visualizer music. 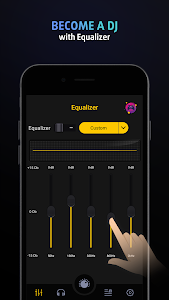 Download our equaliser and bass booster app now and feel the perfection of sound. 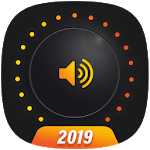 This extremely powerful volume enhancer will help you boost volume on phone and make volume louder for the speaker to maximum with a single touch. You can feel each rhythm with a professional sound amplifier and booster. This amplifier volume booster is a perfect combination of Equalizer and Visualizer. Is our bass and volume booster loud app great? Let’s find out our ringtone booster to make the sound louder. 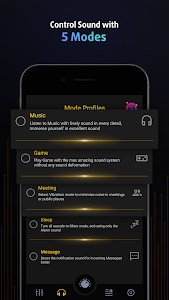 Developers of our music booster volume loud app are always working to improve the music amplifier equalizer sound booster, so if there are any comments on the bass booster equalizer high quality, do not hesitate to comment below. 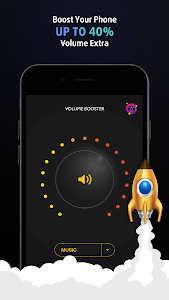 Use our headphone volume booster app to control volume. Do not forget to rate 5* to support the volume booster sound equalizer application! Thank you so much for your interest in volume enhancer for media sound! Volume Booster and Equalizer has updated new version 113 with better UI, UX. Boost max volume with 1-touch! Similar to "Volume Booster and Equalizer, MP3 Music Player"